A view of Barentsburg from an approaching ship. 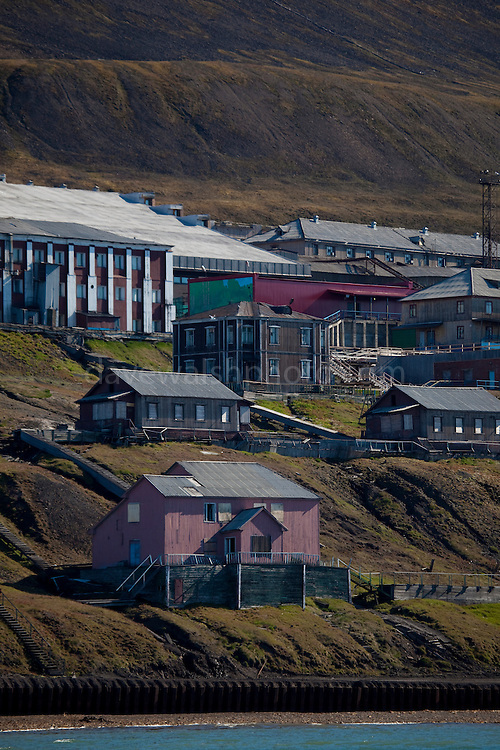 Barentsburg is a Russian coal mining town in the Norwegian Archipelego of Svalbard. Once home to about 2000 miners and their families, less than 500 people now live here.